How Much Water for Three Cups of Rice in a Rice Cooker? The exact amount of water you should add to your rice cooker depends on a variety of factors, including the brand of cooker, type of rice and your elevation. But, a few easy tricks can help you use the approximate amount of water needed. After a little practice with your rice cooker, you won't have to waste time trying to remember exactly how much water to to is needed cook three cups of rice. A good rule of thumb is one cup of water for every cup of rice, or approximately three cups of water to cook three cups of rice. Use this as a starting point, adjusting the water level as necessary as you become more familiar with your cooker and how it handles various kinds of rice. If you don't like to measure while cooking, dump three cups of rice into the cooker and gently touch the surface of the rice with the tip of your index finger. Add water until it reaches your first knuckle. Over time, you'll become more familiar with exactly how much water you need. High elevation causes water to boil at a lower temperature, which means you'll have to add more water than normal to cook your rice. Start by adding the appropriate amount of water using either the cup or finger method. Then, add a bit more to counteract the lower boiling point. 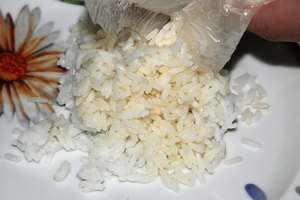 For three cups of rice, add right around 1/4 cup of extra water. 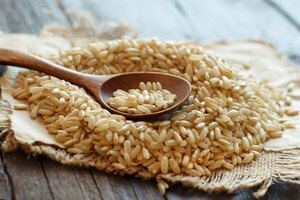 If you're cooking a very dry variety of rice, you'll need to add more water to ensure enough moisture to adequately soften it. 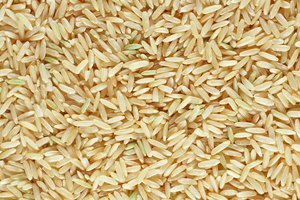 Add approximately 1/4 cup of extra water when cooking drier varieties of rice.